Cycling Makes Sense – Why Government Investment in Cycling Makes Good Economic and Social Sense! Read more about Cycling Makes Sense – Why Government Investment in Cycling Makes Good Economic and Social Sense! Cyclist.ie (Irish Cycle Advocacy Network) members, including Dublin Cycling Campaign, are launching a major Campaign for increased allocations for cycling development in Buswell’s Hotel, Dublin on Thursday 20th September at 11.15am. We need all cycling advocates, and all those who believe in a sustainable transport future, a healthier society, and a society that allocates more space to pedestrians and cyclists to get behind this Campaign. Dublin Cycling Campaign once again are hosting a great public meeting as part of their monthly series of public presentations and discussions on topics related to cycling and better cities! Read more about Bikes and The LAW! 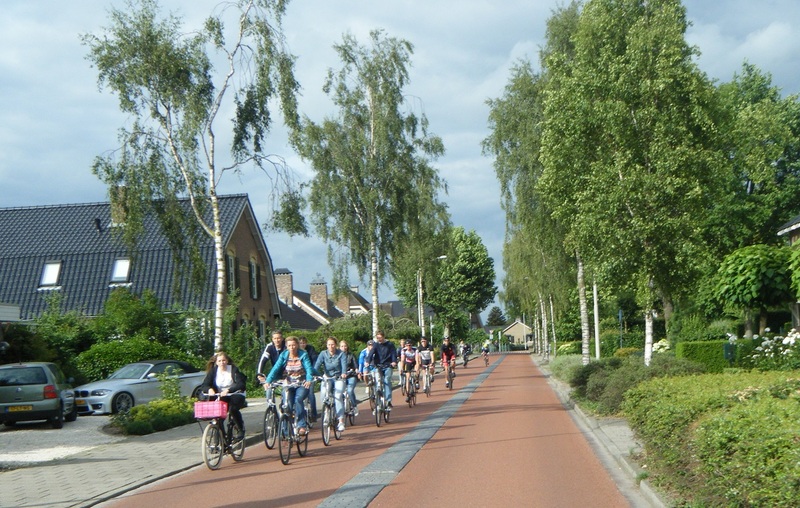 Over 25 Irish delegates attended the amazing Velo-city International Cycle Planning Conference in June 2017 in The Netherlands. It was organised jointly by the European Cyclists’ Federation (ECF) and Region of Nijmegen - Arnhem. There were 1500+ attendees at the week-long event drawn from academia, industry, advocacy, the political and policy-making spheres, and realms as diverse as public health, engineering, planning, tourism, sociology and architecture. Iceland - A Surprising Cycle Heaven!? Dr. Paul Corcoran, Chairperson of Dublin Cycling Campaign, and Dr. Damien Ó Tuama, National Cycling Coordinator, will lead us into the new year 2017 with a session exploring the beauty of cycling in Iceland and informing us on the latest developments on the cycle campaigning front in our nearest neighbour to the west of Ireland! Read more about Iceland - A Surprising Cycle Heaven!? December Public Meeting - What Now for the S2S? The National Transport Authority (NTA) have at last published suggested plans for the section of the Sutton to Sandycove (S2S) Greenway from Irishtown to Seapoint. These plans have been long awaited, and are now open for public consultation so you can have your say! Dublin Cycling Campaign is delighted to host a major public meeting on the proposals, just 4 days before the public submissions are due to be made to the NTA. Read more about December Public Meeting - What Now for the S2S? Dublin City Council and Enterprise Ireland announced the winners of phase 1 of the Small Business Innovation Research (SBIR) competition launched last March. The call out sought to find smart technology solutions to help improve and scale up cycling across Dublin. It generated 98 expressions of interest and 23 proposals. Of those 23, 14 were invited to pitch their idea and 5 have been selected. 3 of these Phase 1 winners have offered to present their projects on Monday 10th starting 8pm, in the Central Hotel. The Future of Cycling & Walking in Dublin City? Read more about The Future of Cycling & Walking in Dublin City?